Boxed cake mixes are undoubtedly lifesavers in a pinch where time and money are limited. While baking from scratch allows for ultimate control over flavors, additions to boxed mixes can elevate and personalize a cake.There are many different ways to experiment. The instant pudding will add moisture and flavor because it will smoothen the cake and give it more of a bouncy structure. It’s important to match the color of the cake mix to the pudding color so that they don’t clash to make it visually unappealing. Most of the cake mixes will call for two to three eggs however, addingn extra egg to each package will create a richer, more dense cake. Dairy options such as buttermilk or whole milk in the same quantity will give more fat to the cake, meaning more flavor and structure. Other options can include coffee for a deep flavor or combining the dairy with sour cream or ginger ale to add a unique airiness to the cake. There are a lot of options to add to a cake to make it unique. Extracts such as vanilla, lemon, or almond will intensify the pudding and cake flavors. Lemon zest can lighten a heavy cake like chocolate. There are also classic favorites such as coconut or chocolate chips. Leftovers in the kitchen that can be baked allow for experimentation and discovering what items will pair well together. This dupe will make the cake look and taste entirely homemade. 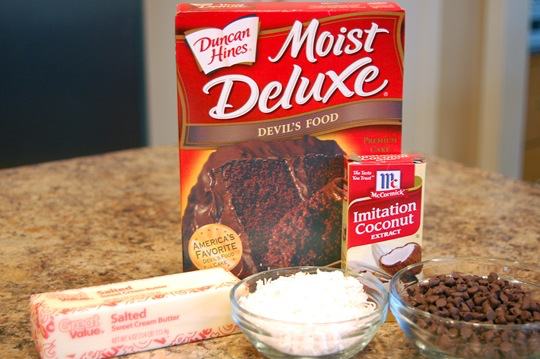 A filling can be a simple combination of melted chocolate and brown sugar, or can be found canned as well. Simply pour half the batter into a cupcake cups or a bundt cake, pour the filling and the rest of the batter over the mixture. Regardless if time is an issue, whipping up an icing while the cake is baking can make all of the difference. The type of icing will depend on the flavor of the cake, but the fundamental ingredients for homemade icing include powdered sugar, butter, and cream or milk. There are an infinite number of ways to spruce up a basic cake mix. Perhaps the essential rule to baking, trial and error will tell all that is needed to know. Only a few extra steps will create an impressive and thoughtful cake to enjoy, within reason of price and time.